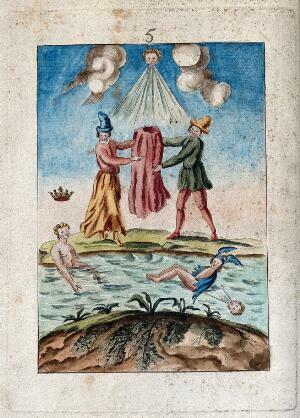 Two peasants hold a red robe; cherubs blow wind and Mercury rests on water below; representing a stage in the process of alchemy. Coloured etching, ca. 18th century.